What’s it like to pull off an event for 220+ students and partners? In a word, crazy. Crazy busy, crazy fun, and just plain crazy. The Welcome Weekend student committee–of which I was one member– began meeting with Admissions in February to prepare. Committee members worked on a student housing guide, social events, volunteer coordination, and more, whereas Admissions managed the schedule and the majority of the logistics. With their powers combined, the committee and the Admissions office created an event that runs from lunch to late on Friday and breakfast to celebratory bar night on Saturday. Admitted students met current students, faculty, and administration to get a strong look at what Tepper really is like, day to day. They start to form bonds with their not so distant future classmates. They get their first in-depth look at academics, scheduling, clubs– everything that you need to know to actually do an MBA. In short, it’s the first chance to get a real taste of what their next two years will be like. As part of the committee, Welcome Weekend has been an incredible opportunity. Working together to create an amazing experience is a thrill, but it’s nothing compared to walking through the event and chatting with admitted students. Their excitement, questions, and dreams were in clear view, and current students were eager to give answers and support. 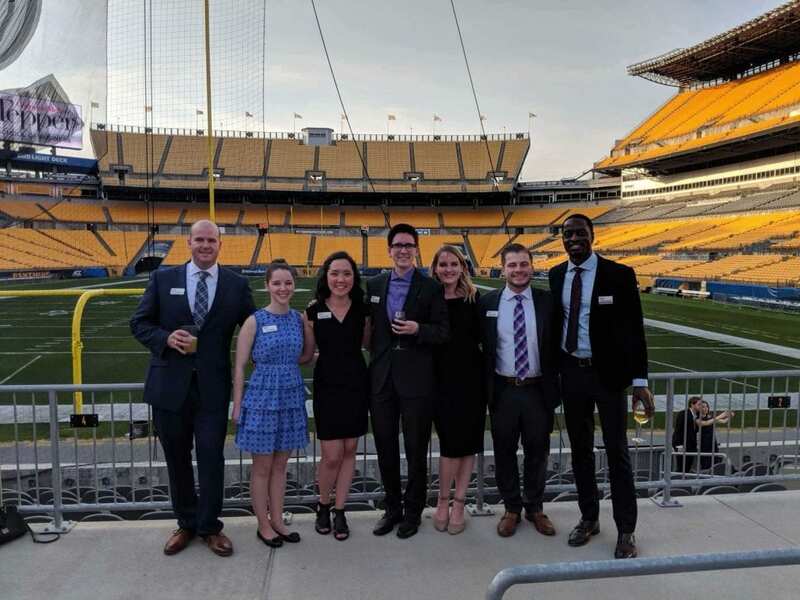 The crowning event of the weekend was dinner at Heinz Field with faculty, staff, and current and admitted students. There, the Welcome Weekend committee took the celebratory picture seen above. A unique experience at Tepper, Welcome Weekend is a fun and unique opportunity to develop relationships with Admissions, bond with classmates, and uplift the school as a whole.